Welcome! 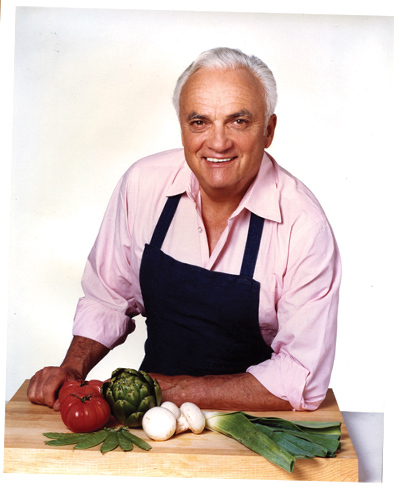 These pages are a tribute to our father, French chef Pierre Franey, fondly known to his followers as The New York Times "60-Minute Gourmet" columnist and for his popular cooking shows on public television. Focusing on his cuisine and recipes spanning a 60-year career, the site aims to be an entertaining and useful resource for food lovers everywhere. We are a close family and we still profoundly miss our "Papa" but we take great comfort in our wonderful memories that took place in his kitchen and the delicious meals he cooked for us growing up. So, enjoy your visit today and return often as we continue to post more of Pierre's life and times through his recipes and shows. He cooked to live; he lived to cook!